• Garry was honored to attend the Innovative Lives: The Pioneers of Spacewar! event this month at the Lemelson Center for the Study of Invention and Innovation, hosted by the Smithsonian National Museum of American History. • Garry has been interviewed for the upcoming Canadian Broadcasting documentary The Artists: From Pong to Pop and the Dawn of the Video Game Era. • Learn about the early days of Garry’s career in Season 3 of the Amazon Video series Batteries Not Included. Garry Kitchen is an accomplished video game designer, software developer and business executive. In his present role as President & CEO of SGK Service Inc., Kitchen is a sought-after Expert Witness in legal matters concerning video game and mobile app design and development, patent infringement & invalidity, copyright infringement, general software development, video game industry history and business issues. Previously, Garry served as Vice President of Game Publishing for Viacom Media Networks, working in the Nickelodeon Kids and Family Games Group. Under his leadership, Addicting Games launched the AG Mobile app for iOS, vaulting to #1 in the app store in 72 hours. 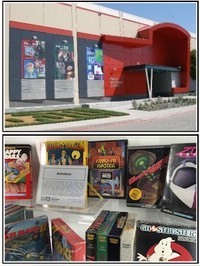 Kitchen's career in interactive entertainment spans over 30 years, initially as a toy designer and quickly transitioning into a pioneer in the launch of the video game industry. From 1981-1995, Garry was an industry leader in the development of home video games, generating over $300 million in retail sales. 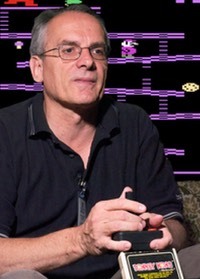 His 2600 adaptation of the hit Nintendo arcade game Donkey Kong, published by Coleco, was one of the top selling games on the Atari platform, selling over 4 million units. In 1983, Kitchen followed up the success of Donkey Kong with his hit title Keystone Kapers, published by Activision and a nominee for Video Game of the Year. When the video game industry suffered a slump in 1984-1985, Kitchen focused his efforts on a new area of computer entertainment, creativity software. His first creativity title, The Designer's Pencil, was hailed as groundbreaking by reviewers and paved the way for Kitchen's most ambitious title to day, Garry Kitchen's GameMaker. GameMaker, a suite of 5 professional-quality design tools connected to an easy-to-use programming language, allowed novice designers to create commercial quality video games. Kitchen was named Video Game Designer of the Year for his work on GameMaker. Kitchen went on to found Absolute Entertainment, Inc., building it into one of the leading video game developers in North America. Under his leadership, Absolute created more than 120 software titles while working with such leading entertainment companies as Nintendo, Sega, Sony, 3DO, Paramount Pictures, MCA, 20th Century Fox, and Acclaim. In 1995, with the founding of Skyworks, Kitchen shifted his focus from retail game publishing to the potential of the Internet as a digital distribution channel for games. Skyworks pioneered free online gaming with the launch of the innovative LifeSavers Candystand, hailed by experts as the premier example of brand-sponsored gaming, or Advergaming. Skyworks went on to supply advergames to many world-class brands, including Nabisco, Pepsi, BMW, ESPN and Ford. In 2008, the company expanded its focus to the emerging downloadable games market, initially targeting the iPhone App Store. Before leaving Skyworks, Kitchen led a team of 50 in the development of over 30 titles for the iPhone, with 15 titles reaching Top 100 status in the Apple App Store. In addition to Kitchen's work in multimedia, he is an experienced Expert Witness in the areas of Video Game Design, Software Development, Internet Technologies and Patent Infringement. Kitchen has received numerous awards and is well respected by the media with appearances on CNBC, CNN and the NBC Today show.